Practice, coaching, challenges and more all occur during Open Play. What’s going on may change day to day, but there is always fun to be had and improvements to be made by practicing. We have equipment, paddles and balls, that can be provided, but we encouraged players to bring their own. Non marking court shoes are required as our facilities have hard courts. During Open Play there is a challenge system in place as a way to easily play others. Put your paddle by the table and the challenger plays the winner — simple are that. Open play is four times a week at Shorewood and West Allis locations. As well as all of our coaches being available for youth lessons, we also have specific Youth Programs now in the works — with more being planned in the future. 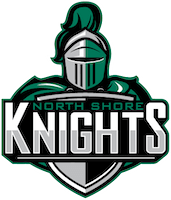 We are partnering with the North Shore Knights to offer their first table tennis clinics this fall. From there, club teams will be formed across all age and skill groups. Is your program, school or someone you know interested in a Youth Table Tennis Program?